Μπορεί ο αριθμός ενεργών παιχτών να ανεβαίνει στο MOBA της Valve, Dota 2, και τα Updates να είναι συχνά-πυκνά, αυτό όμως δεν πάει να πει πως η εταιρεία έχει διορθώσει bugs που πολλές φορές τείνουν να «χαλάνε» το παιχνίδι για μερικούς παίχτες. Ο χρήστης του Reddit, Bun3nyy έφτιαξε μια λίστα με όλα τα υπάρχοντα Bugs μετά το Update 6.87 και σύμφωνα με την περιγραφή, μερικά από αυτά είναι ιδιαιτέρως «επικίνδυνα». This is not a 6.87 bug, but it is abusable, so here it goes: When you directly target Enchantress with an attack order, and then cancel that order so that your hero starts automatically attacking Enchantress, it will not be slowed by Untouchable and attack at normal speed. There are 2 ways to do this. Either have auto-attack set to «always» and simply press Stop once during the ordered attack. Or you have auto-attack off and give your unit an attack-ground order during the ordered attack. Current: Untouchable does not slow when auto-attacking ench after a forced attack. Expected: Untouchable always slows, no matter how the attack started. This is heavily abusable. Whenever your Echo Sabre enters your inventory (be it freshly bought, or just dropped on the ground and then picked upa gain), it will apply its attack speed and slow on your next attack, regardless of its cooldown. Current: Echo Sabre always applying its effects on the first attack after pickup. Expected: Echo Sabre only applies its effects upon succesfully hitting an enemy. Besides the enchantress example, it can be abused in every situation. Whenever it is save to do so, you can drop and quickly pick it up to get 2 very fast attacks, instead of 1 normal speed attack and 1 very fast attack. For some reason, damage dealt by Fury Swipes is ignored by spells which ignore damage which have the no-reflection flag. Current: Damage dealt by Fury Swipes is ignored by Blade Mail/Fatal Bonds/Dispersion. Expected: Like before 6.87, Fury Swipes damage is fully affected by all 3. This can be abused in the late game. When you buy aghs, toggle Arctic Burn on, and then drop the aghs (e.g. put in stash), Arctic Burn will remain toggled on until you die. This basically enables WW to have 6 items + an aghs effect in the late game (effectively 7 slots). Current: Arctic Burn stays toggled on after dropping aghs. Expected: Arcitc Burn toggles itself off as soon as aghs gets dropped. 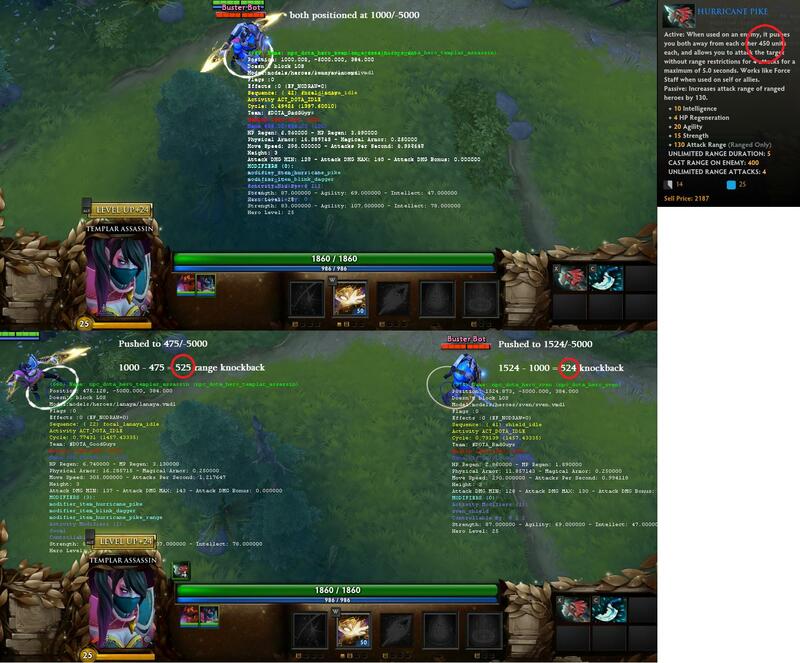 The aghs upgrade turns Arctic Burn into a toggle spell. As a toggle spell, it should not proc magic wand/stick/arcane curse/last word and other spells which react on spell-cast. As of now, it does, as the only toggle spell in the game. It should proc them when not upgraded. Current: Toggling Arctic Burn on/off procs on-cast effects. Expected: Arctic Burn should not proc on-cast effects when upgraded, like other toggle spells. It should only proc them when not upgraded. Melee attack range was increased to 150. 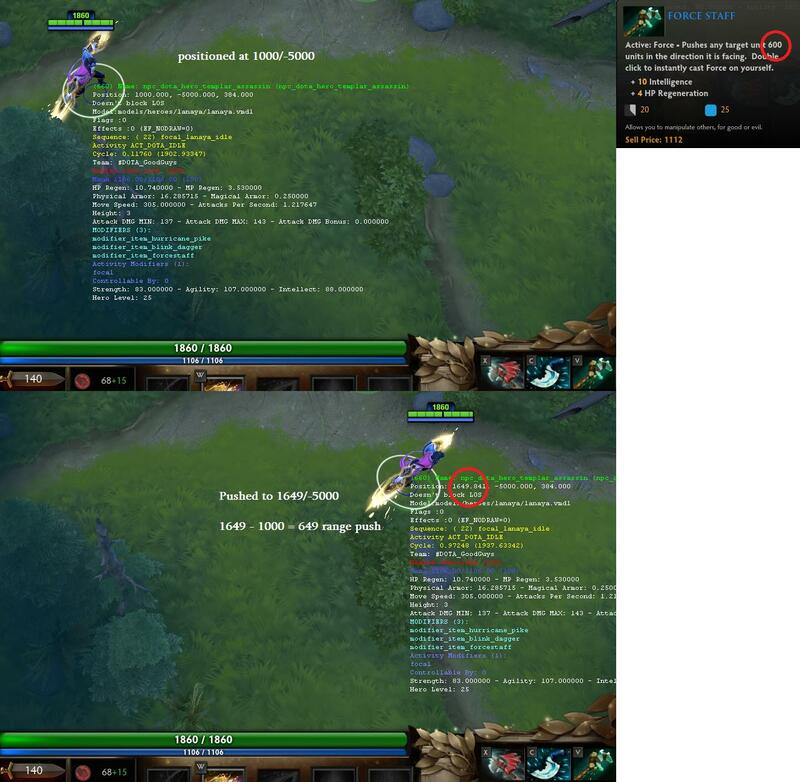 But Tidebringer’s cast range is still 128, so when you use it manually, Kunkka will have to move a bit closer to the target. Current: Tidebringer cast range is 128. Expected: Tidebringer cast range is 150. Also, besides Tidebringer, the range indicator of Walrus Punch (and Walrus Kick) are not updated. Although their cast range was updated to 150, the indicator still shows 128. When you re-cast Hurricane Pike while having the buff from a previous cast, the buff duration gets refreshed. But the number of limitless range attacks is not refreshed, and the target is not updated either. So let’s say you cast it on hero A and make 2 attacks on it. You now have 2 unlimited range attacks against that target left. Now, recast it on hero B. You still have 2 unlimited range attacks left against target A and have 0 unlimited range attacks against target B. All the recast did is refresh the previous buff without updating it at all. Expected: Recasting Pike refreshes duration, updates target for unlimited range attacks and resets number of attacks to 4. According to tooltips and changelogs, Hurricane Pike should push units 450 range away from each other. However, it actually pushes them 525 range away from each other. Current: Hurricane Pike pushes caster & enemy units 525 range. Expected: Hurricane Pike pushes caster & enemy units 450 range. Same applies to targeting self/allies, or using Force Staff. They should push for 600 range, but actually push 650 range. Current: Force Staff and Hurricane Pike push units 650 range. Expected: Force Staff and Hurricane Pike push units 600 range. Edit: As pointed out by u/utumo , this is actually a good thing for morphing heroes who can switch between ranged/melee (troll, lone, dk, terrorblade), so maybe this is a good thing and shouldn’t be changed. Just a minor visual/information issue. When the item is used by a melee hero, or reflected by a melee hero, it should not place the unlimited range buff on them, since they cannot make use of it anyway. Current: Hurricane Pike places its unlimited range buff on melee casters. Expected: Hurricane Pike does not place its unlimited range buff on melee casters. I checked all other attack modifier, and deso/blight are the only ones which do this. Since 6.87 attack projectiles no longer apply secondary effects (like debuffs or extra magical damage or whatever) on their targets when they connect with it while it is in ethereal state. Howeve, Desolator and Blight Stone still place their debuffs even when their target turned ethereal. Current: Desolator/Blight Stone apply their debuff when connecting with ethereal targets. Expected: Desolator/Blight Stonedo not apply their debuff when connecting with ethereal targets. 1. Nightmare’s sleep effect is always placed as a debuff, no matter if the target is an ally or enemy. This means when you face an enemy Bane, you cannot use your purge to remove the defensive Nightmare, which defeats the purpose of turning the spell dispellable. Strangely, the invulnerability effect works properly (buff when cast on allies, debuff when cast on enemies). Current: Nightmare is always placed as a debuff, regardless of who is targeted. Expected: Nightmare is placed as a buff when casting on allies, and debuff when on enemies. Since Pipe of Insight no longer has a stack restriction, this got relevant (it always was somewhat relevant for Ember Spirit). When you cast Pipe and have it block some magical damage, and then recast it while still having the previous buff, it only refreshes the duration, but does not set its damage block capacity back. Same goes for Ember Spirit’s Flame Guard. Hood of Defiance’s active ability had the same issue as it was added, but it was fixed. Pipe and Flame Guard were not fixed. Current: Recasting Pipe/Flame Guard only refreshes buff duration. Expected: Recasting them also resets their damage block capacity. This does not happen always. It happens when you cancel your attacks few times quickly. The ensured crit should only get used up if you succesfully land an attack (it already ignores missed attacks). This used to work fine before 6.87. You can see that the icon updates properly (red streak disappears upon succesful hit), but you can see that the attack does not crit. This prevents Gyro from turning invisible with Moonlight Shadow, as the gunner’s attacks will reset the fade delay. It also is abusable with Shadow Blade. When timing Shadow Blade so that the gunner attacks during the fade time, the attack will apply the backstab without using up the invis. So you can backstab a 2nd time with one cast by breaking the invis with a regular attack. Μετά το Reborn Update στο Dota 2, είχαμε παρατηρήσει μια μεγαλύτερη έξαρση σε Bugs και Glitches. Ωστόσο, η Valve δεν φαίνεται να το βάζει κάτω, ειδικά όταν κάθε μέρα έχουμε και ένα καινούργιο Hotfix.